Each of Howard’s commissions is constructed using the finest of materials sourced from reputable, and well maintained wood yards. 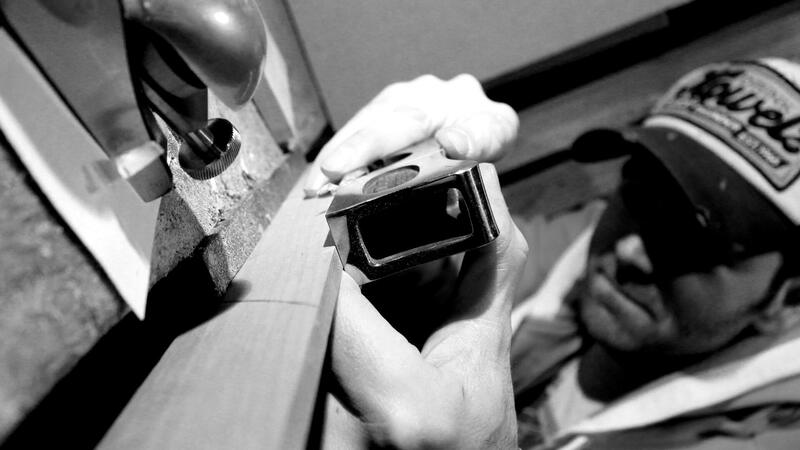 An extensive understanding of many fine timbers, and their individual characteristics, ensures that your HB designed furniture will not only delight the senses but continue to do so for generations. From grain pattern and colour, to strength and durability, combining timbers can create great contrast, be it subtle or bold, showing off well executed cabinet making jointing or personalizing your piece of HB furniture. View examples of these fine timbers below and learn what they could bring to your own HB piece. A pale coloured wood, cream to light brown, with a bold, straight grain. It is suitable for high class cabinet making, possessing a good resistance to splitting and takes stain well. Wider grain and uniform oatmeal colour, consistent in texture, density and colour. 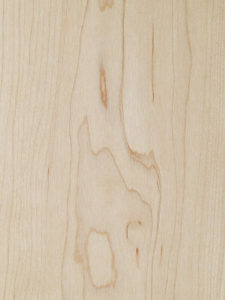 English white beech is whitish to light pink in colour. While it is a very good turnery wood, it is also suitable for fine cabinet making. Steamed beech has similar uses to English white beech but owes its unusual colouring to the way it is steam dried as opposed to kiln dried. 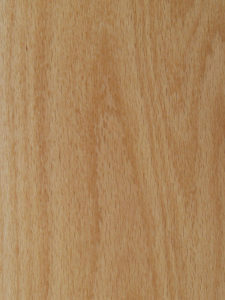 A very pale pink to brown coloured timber, can be darker in timber from older trees. It is very versatile, moderately hard and heavy. 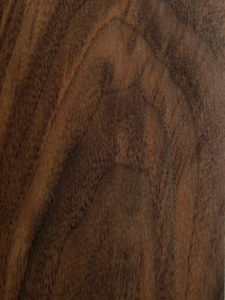 The medullary rays appear as characteristic darker flecks in a line on the quarter sawn face. It has a straight, fine, close grain and even texture. Varying from a light greyish brown to a deep chocolate, American black walnut offers good resistance to insect and fungal attack. In addition, turning and boring qualities are both good and it’s a popular wood for decorative veneer. A tall tree up to 50m high and 1.2m in diameter. Heartwood is a rich brown, darkening over time, with darker bands and stripes. Sapwood is light grey brown. Grain is generally straight but some wavy or curly grain may be present. A tough timber with rather coarse texture. Dries slowly with a tendency to honeycomb. A farmed timber cropped young. 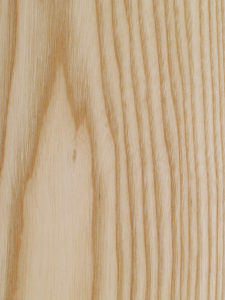 A light coloured wood of fine, even texture. The creamy white sapwood is not sharply defined from the heart wood, which generally has a more reddish tinge. Occasionally large trees have a dark brown heart. Fine brown lines marking the growth rings are apparent on longitudinal surfaces and give rise to a distinctive figure on plain sawn surfaces. The grain is usually straight, but wavy or curly grain occasionally occurs. 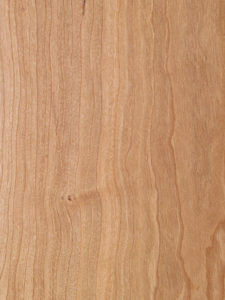 American cherry is suitable for a range of uses such as boat building, cabinet making, can be turned easily, and is ideal for carving. A medium to large tree, up to 35m high and 1m in diameter. Heart wood is pinkish to mid brown with distinct growth rings. Grain is straight with even, fine texture. A favourite timber for quality in cabinet making. Oak has a light tan to dark brown colour with the wood structure and quality dependent upon growth conditions. A rich brown in colour, it is very hard and strong. Usually straight grained but irregular or crossed grained material can sometimes occur. Large medullary rays can give an attractive silvery grain figure when quarter sawn. Hardens and darkens with age.